We've reached the top 10 and it is time to conclude my rankings for 2018. It obviously will come as no surprise to see Svechnikov as the top rated player available from the OHL. It's been that way since puck drop this season. After winning the USHL rookie of the year last year, Svechnikov lived up to the hype in his first (and likely last) OHL season, winning the OHL rookie of the year (and becoming the first player to accomplish both feats). Truth be told, Svechnikov had a draft season for the ages in the CHL and if it weren't for Rasmus Dahlin, we're probably talking about him as the 1st overall pick. His even strength production was the best of any CHL draft eligible player in a very long time (better than McDavid, Tavares, Stamkos, Crosby, etc) with a 0.68 ES goals per game rate (stick tap to Steve Kournianos for the advanced data). He's the perfect hybrid of how the game used to be played and how it is played now. He's got size at 6'3 and plays a power game, but he's also a fantastic skater. His ability to drive the net and gain inside positioning on defenders off the rush is among the best I've ever seen in the OHL. He's just so powerful. The shot is NHL quality already too. He's so strong on the puck and even with defenders draped all over him, he can manage to get great power behind his wrist, snap, and backhand. But Svechnikov plays just as effectively east/west as he does north/south. His creativity, puck skill, and vision are all top notch. He's actually a very good playmaker who has that innate ability to read defensive coverages to know when he should dish off or finish his drives himself. It's what makes him so dangerous because defenders have to respect his passing ability, which in turn gives him the time and space to dominate. I think the part of Svechnikov's game that doesn't get enough credit is his defensive game. This guy has great awareness in all three zones and is (mostly) willing to use his size and speed to engage on the backcheck. There are times where his defensive focus could be a bit more consistent, but I think he profiles as a solid two-way player in the NHL. I really think this kid is NHL ready and he could be a 30/30 player in the NHL next year. Gabriel Landeskog put up 50 points in his first NHL season, and I see them being built very similarly, only I think Svechnikov has more offensive skill. In all honesty, the guy Svechnikov most reminds me of is Marian Hossa and I think he ends up being a similar kind of player in the NHL. Have to admit, I thought Bouchard should have won the Max Kaminsky trophy this year as the league's top defenseman (and that's not meant to be offensive to Nic Hague who also had a terrific year). I just look at what Bouchard was able to do with such a young team through the 2nd half, as the captain, and think it deserved more respect. His 87 points were the most for a first time draft eligible defender since Ryan Ellis put up 89 in his. His ability to start the breakout is his best asset, with his vision off the rush and his booming point shot a close 2nd and 3rd. Bouchard just has unreal vision from the defensive end and pinpoint accuracy with his stretch passes. When he's on the ice, the Knights can go from being under attack in the defensive end to a 3 on 1 within a matter of seconds thanks to Bouchard's ability to get the puck out. While he does lack the top end speed you'd like to see from a dynamic puck rusher in the NHL, his agility and puck protection ability (thanks to his 6'2 frame) are top notch and allows him to evade forecheckers and carve through the neutral zone extremely effectively. Bouchard also is a terrific powerplay QB, because he is a duel threat. Defenders have to respect his booming point shot and his vision and passing ability, which is a dangerous combination. Do you overplay him to take away his shot at risk of him exploiting a hole in coverage, or do you give him the shot and have trust in your goaltender? Defensively, Bouchard is solid positionally and in getting his stick in passing lanes. But he definitely needs to increase his intensity level in the defensive end, particularly below the hash marks. He can be too soft on forwards near the crease and needs to do a better job taking away space from the opposition and winning more tough battles behind the net. Is he going to be a top notch #1 defender? I'm not entirely sure he has that skill set. But can he be a solid #2 or #3 who can lead your powerplay and eat big minutes? Absolutely. Consistency needs to be applauded because it can be hard for these kids to achieve. But Hayton has been a rock for the Hounds all season long. Between the regular season and the playoffs, he played in 87 games this year and he made an impact in nearly all of them. You just know what you're going to get from him. He's relentless in his puck pursuit and is a terrific forechecker. As such, he's a very effective three zone player because of how hungry he is for the puck. At the same time, he has the skill level to create from the turnovers he creates. In fact, his puck skill and creativity are areas of his game that are extremely underrated. If there's a criticism about Hayton, it's that he seems to defer to teammates to make those creative plays, even though he's capable himself. I think it's where some people get the perception of his lack of potential. But as he gains confidence and gets a larger role in the offensive scheme, this guy will put up points. Another aspect of Hayton's game that needs to be applauded is his awareness away from the puck in the offensive zone. Consistently finds holes and beats defenders to scoring areas where he can take advantage of his extremely quick release, IMO, one of the quickest in the age group. At the end of the day, Hayton stands out in a draft devoid of center depth because he's such a well rounded player who projects to be a very good pro. I've had some asking about the Bo Horvat comparisons lately, but I see him more as a Bryan Little type of pro. Speaking of well rounded centers, that brings us to Dellandrea, one of the most underrated players in this year's draft. 2018 just isn't a strong year down the middle and Dellandrea presents a great draft option for team's looking to pick up a potential top 9 center. The Flint Firebirds just weren't very good this year and I think that's why Dellandrea seems to be flying under the radar for a bit, but he was the straw that stirred their drink and he was terrific at all other major events (Hlinka, TPG, U18's). Like Hayton, Dellandrea is the type of player who impacts the game on so many different levels. He's physical and is aggressive on the forecheck and backcheck, always hungry for the puck. He uses that physicality to be a very effective defensive player. He's a good skater and has some size, which helps him be a very solid north/south play creator. But he also possesses the hands and vision to play east/west. In particular, I like how he controls the boards and shows patience and poise in the offensive end. If we're talking about his performance at the U18's, I felt like he was Canada's best and most consistent forward. He was able to show his effectiveness without the puck as it seemed like he forced a couple turnovers in the defensive zone every game. I think Dellandrea has a chance to have a career similar to a guy like Mike Fisher and if you can get that in the later part of the first round, you're doing very well at the draft. Raw. No better word to describe Noel than that. 6'5, 210lbs, but skates North/South as well as any player in the draft. That explosive stride allows him to be so dangerous off the rush because of his size and puck protection ability. Does such a good job of shielding the puck and is already very difficult to separate from the puck. At times though, he does look like a baby deer on the ice. His lateral agility and edgework will need to get better as he can trip himself up trying to change directions, or looking to cut inside. I also think that his hands need to catch up to his speed a bit, because at times he can overhandle the puck and end up turning the puck over. I think Noel is also still figuring out how to play without the puck and best use his size and speed to be a factor at all times. He's very good along the wall, but at times you're more likely to see him camping out near the crease or in the slot, waiting for the puck. With his skill set, he needs to be the one winning those battles to create for others and not necessarily the other way around. But the hands in tight are quite good and he has massive potential as a goal scorer. I thought he showed quite well at the U18's this year and gave scouts a glimpse of how his size and speed can play against the best in his age group. Whoever drafts him will need to be patient as he figures out how to become a consistently dominant player. But the boom potential is very high and it could be why he hears his name earlier than we think. Anyone who reads this blog knows that I'm a big Thomas fan. He's one of the best playmakers in the age group and I just love how he sees the ice. The improvements he made to his skating ability this year really helped to open up the ice for him. Exploits gaps so well and can use his speed to drive wide and create space. This is part of why he's so effective with the man advantage. But Thomas is also a competitor without the puck and the type of kid who will do anything to help his team win. His board work is a work in progress though. I know some feel that he needs to play with more consistency away from the puck and I'd probably agree. Being able to be consistent from shift to shift and not having that intensity level drop will be the big next step for him. I think finding a permanent position will be big too. Played the wing as a 16 year old. But played mostly down the middle this year. I don't really know where he profiles best moving forward. The one component of his game that really needs to improve is his shot. Needs to improve the velocity behind it and the release, as teams tend to play him for the pass. Getting stronger will also be needed. At his best with the puck on his stick because of his skill and vision, but he can be muscled off the puck too easily and needs to be become more effective in traffic, especially in the slot. But this is a kid with a very good head on his shoulders (wears a letter already in Niagara), who has the skill level and hockey sense to be a very good pro. As he matures physically, I think we'll see him become a dominant offensive player in the OHL. Really gained an appreciation for Sandin as the season went on. He's the type of player that you really need multiple viewings of to grasp what he brings to the table. He's definitely not extremely flashy. But he is extremely effective. He's fantastic with the puck in his own end and rarely seems to make a mental mistake with the puck. Always makes that safe play and starts the breakout with a stretch pass as well as anyone in this draft (including Bouchard). His hockey sense is just terrific. Has a good, low point shot and is very good at picking his spots to jump up into the rush. Really started to gain confidence in this by season's end and we saw him taking more chances in looking to create with his shot. But Sandin is also a very effective defensive player. Not the biggest at 5'11, but he is fearless and will take the body, something that surprises the opposition at times. But I like his positioning and ability to stay ahead of attackers on the rush. He uses his body and strong lower half to box out forecheckers extremely well and as such, he prevents teams from gaining and extending possession in the Hounds zone. For me the only real drawback is a lack of dynamic skating ability. Sandin is far from a poor skater. He's mobile, especially laterally. But I don't think he possesses the elite separation that you'd like to see from a 5'11 defender who's primary skill is puck movement. How will he do when he has less time in the defensive end? That is of course assuming that his skating doesn't improve considerably. But I see Sandin as, potentially, a very serviceable second pairing defender who can play in all situations and have a long time NHL career. Every draft there are a few players who really polarize scouts. And this year, one of those guys is Ryan Merkley. The slick skating blueliner is one of the most naturally talented offensive players available. His playmaking ability from the back-end can be incredibly valuable. But concerns over his attitude and lack of defensive growth have scouts questioning if he possesses what it takes to be an NHL player. Let's start with the good. 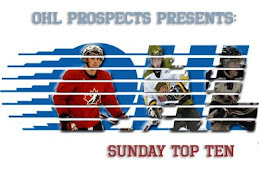 Merkley has some of the best edgework and overall agility I've ever seen from a defender at the OHL level. With the way he walks the line and is able to stop/start/change direction, he's so elusive in the offensive zone. Combine that with his puck skill and vision and you have a guy who has endless potential as an offensive player. Merkley also demonstrates a desire to be physically engaged at times. That intensity serves him well at times in the defensive end. Alright now the negatives. Merkley's play without the puck remains a major work in progress. Quite often, he looks disengaged or bored in the defensive end and loses focus quite consistently. That means missed defensive assignments, lazy backchecks, and lost battles in the corners and in front of the net. And more alarmingly, I'm not sure this has improved in his two years in the OHL. Merkley has also raised flags over his attitude on the ice and the frustration he shows when things go awry. Competitiveness is great, but it can also be negative thing when it's a fixation and that appears to be the case with Merkley. Turnovers from trying to force things offensively. Bad penalties when players antagonize him. This came to a head towards the end of the year when he was a healthy scratch for the Storm. I also think his point shot and confidence in using it needs to improve so that he can be a better powerplay quarterback. This was evident at the U18's where Canada's powerplay was dreadful under his direction. Those who love him believe that with maturation and tutelage, his raw talent can be harnessed and that he possesses some of the highest upside of any player in the draft. Those who dislike him (guaranteed there will be some NHL teams who have him as a no draft), point to the immaturity as the reason why his faults will remain faults, preventing him from being an NHL player. For me, he provides great value in the second round, but not the first. The combine interviews will be huge for him to convince NHL teams otherwise. Admittedly a tough player to rank for me. Seemed like every time I saw the Steelheads this season, McLeod had an off game. But it's those consistency issues that have caused other scouting agencies to drop him in their rankings too, to the point where he's a borderline first round selection on some lists. The position he plays will definitely help his odds of remaining a first rounder, because as I mentioned earlier, this is not a strong draft for centers. McLeod has size, speed, and skill; the three S's. His speed is a big factor off the rush and his skill with the puck allows him to make moves at top speed that creates even more space for himself or his linemates. His playmaking ability and vision with the puck are definitely strengths. On the powerplay, he's a major threat because of this. But the consistency with which he uses his size is a tad concerning for me. He can be kept to the perimeter 5 on 5, and at times he struggles with his board play to extend possession. I'd love to see him be way more of a factor when the puck isn't on his stick. Using that size consistently to be more of a factor on the forecheck and in his own zone. On the penalty kill, he can be effective, but 5 on 5, that hunger isn't always there. And as a 3rd year player (late birthday), I do wonder how much growth remains. Size and skill down the middle is a great combo and if he can continue to round out his game, McLeod should be an NHL player. I just prefer others from the OHL a little more at this point. At this point, I'm not sure how much separates Foudy from McLeod. No player showed greater growth in the second half of the season than Foudy. He had 33 points in the final 32 games of the regular season, where as McLeod had 32 points in the final 32 games of the year. Remember, Foudy is a year younger and didn't have the same type of talent surrounding him. The big difference, of course, is position. While he is a natural center, Foudy has found success on the wing at the OHL level. It remains to be seen where his future lies positionally. But this is why I have McLeod ranked slightly higher. The first thing you notice with Foudy is his skating ability. Foudy is easily one of the league's elite skaters already. A remarkable athlete (a competitive hurdler as well), Foudy generates so much strength and power in his strides which helps him hit top speed very quickly. But Foudy can also carry the puck at his top speed, and he really started to gain confidence in his ability to generate off the rush in the 2nd half. He was averaging 2-3 end to end rushes a game by season's end. If you didn't stop him by the redline, you weren't preventing him from gaining your blueline. Foudy also has a sneaky good wrist shot and I think he has excellent goal scoring potential as he gains strength. Of course, his speed plays exceptionally well on the penalty kill, where he's a shorthanded threat at all times. 5 on 5, though, I'd like to see him be more consistent away from the puck. He's great North/South, but he needs to be better playing through traffic, working East/West and looking to use that speed to fill more gaps in the middle of the ice. Obviously, added strength will help him be more effective along the wall too and below the hash marks. This was evident in the first round of the OHL playoffs, where he really struggled to find space because of how physical Owen Sound played his line. In today's NHL, speed and skill kills. Look at what the Vegas Golden Knights have been able to do this year. And Foudy plays right into that. Combine his rapid rate of improvement with his raw skill set, and I think you'll see someone take a chance on him inside the top 40 come June. Awesome stuff as usual Brock! Been coming here to your site for years. My go to info for OHL stuff. Well done and keep it up!